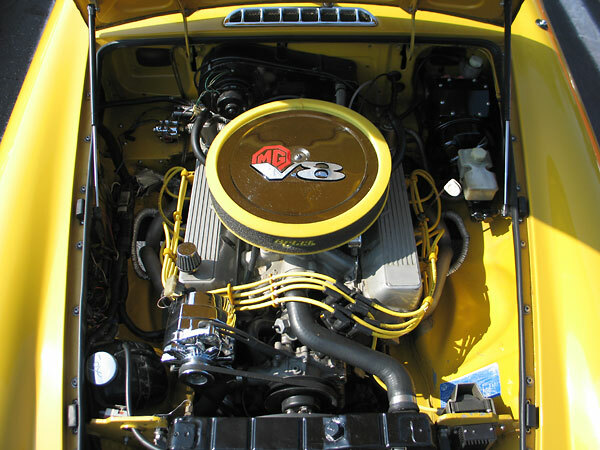 Engine: Rover 3.9L aluminum V8 with Edelbrock Performer 2198 dual-plane intake manifold and 390cfm Holley carburetor. Crower 232 camshaft. Buick distributor. (Note: to use the Buick/Delco-Remy distributor in lieu of a Rover/Lucas unit, the drive gear on the alternator which mates to the Rover camshaft gear was cut off and replaced.) Crane Fireball XR700 electronic ignition and Crane Fireball P591 coil. 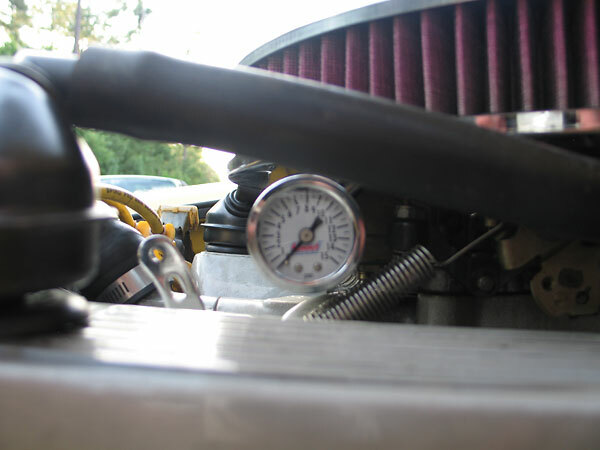 Fuel pressure regulator and fuel pressure gauge. D&D Fabrications swivel mount oil filter adapter. A Rover harmonic balancer was used, but with only one of its two original pulleys. 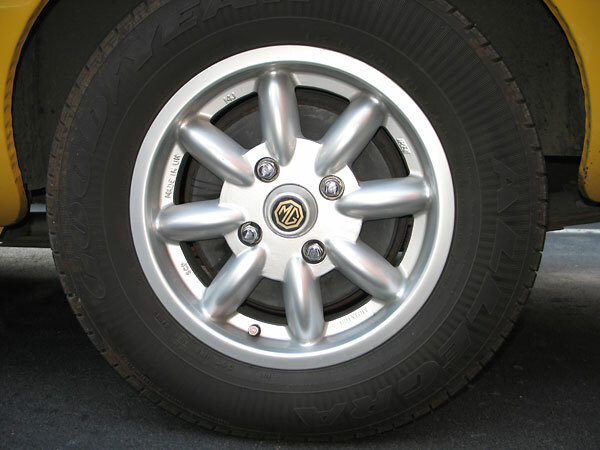 The rear pulley was moved to the front, and for alignment a Buick 300 alternator bracket was used in combination with a double pulley on the alternator. 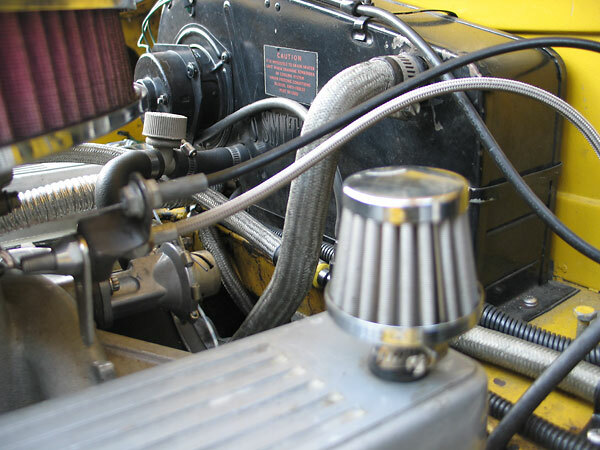 A Buick 300 water pump was used, with an early Buick pulley shimmed outward for proper belt alignment. 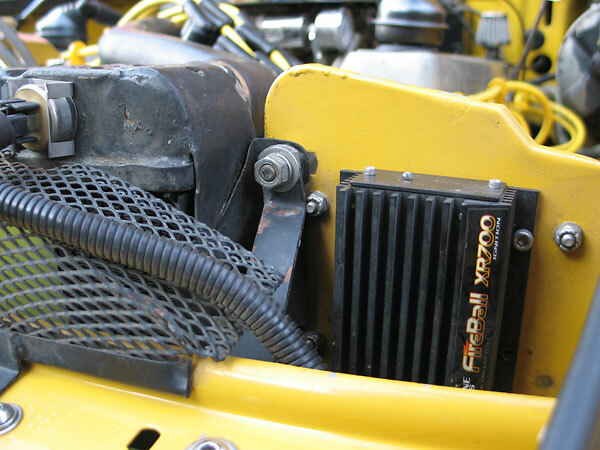 Cooling: MGB tanks (reversed, and with oversized ports) installed on a 4-row "Super-Cool" core, about 2.5" longer than stock. 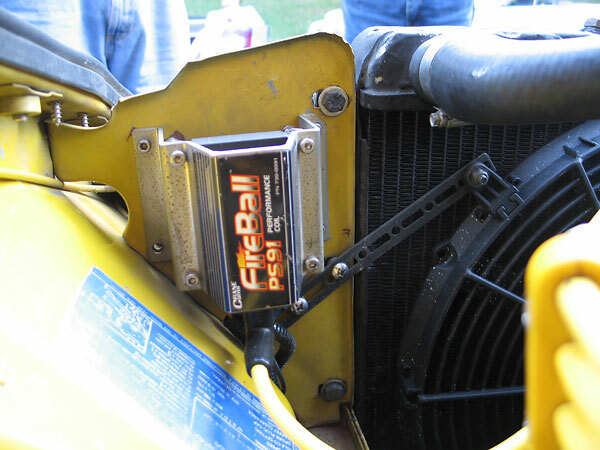 A Spal electric fan (pulling) supplements the original MGB electric fans. 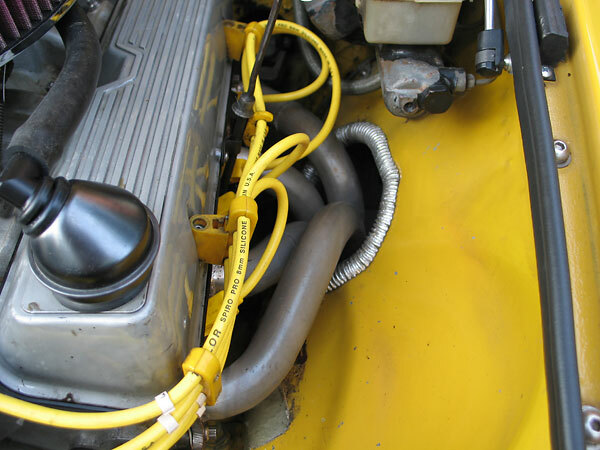 Exhaust: RV8-style headers into a homemade exhaust system with a single Thrush muffler. Transmission: Tremec T5 (Ford style) with 0.63:1 fifth gear. 10.5" Camaro clutch. Henderson driveshaft. 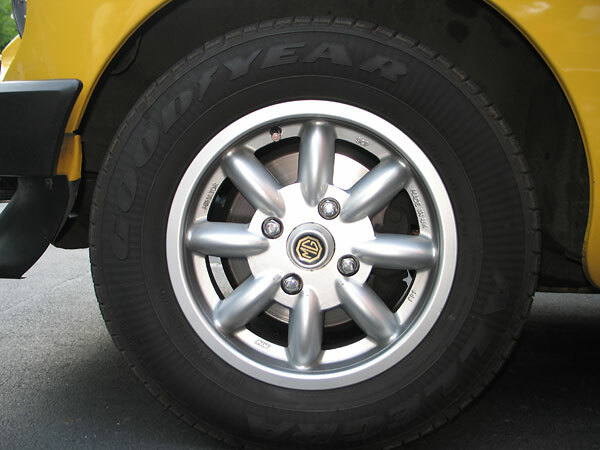 Wheels/Tires: Minator aluminum wheels with Goodyear "Allegra" 195/70R14 tires. Interior: Pontiac Fiero seats with headrest-mounted speakers, reupholstered in ("Mr.Mike's") leather. 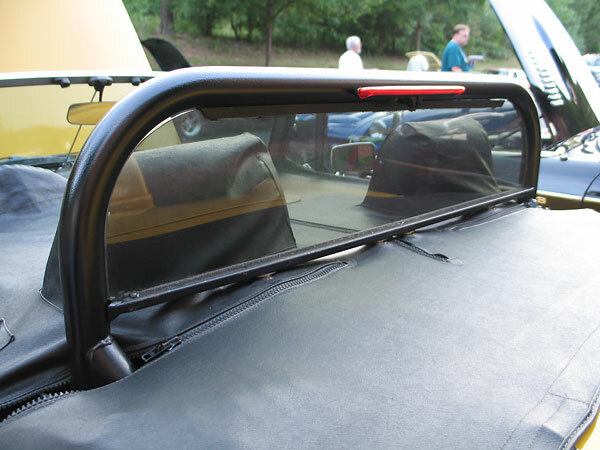 Roll hoop with windblocker and LED third brake light. 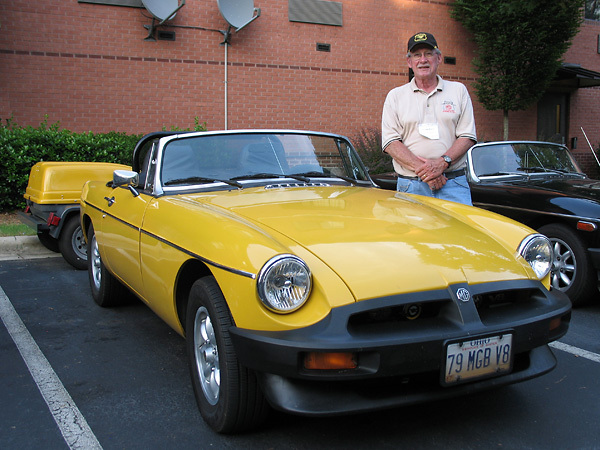 Comments: This MGB V8 was built to be a dependable road car with modest but improved performance, which it certainly has been. It has been a very reliable car for the past eleven years. I’ve driven it to Phoenix, Florida, Nova Scotia, Minnesota, and many other places. 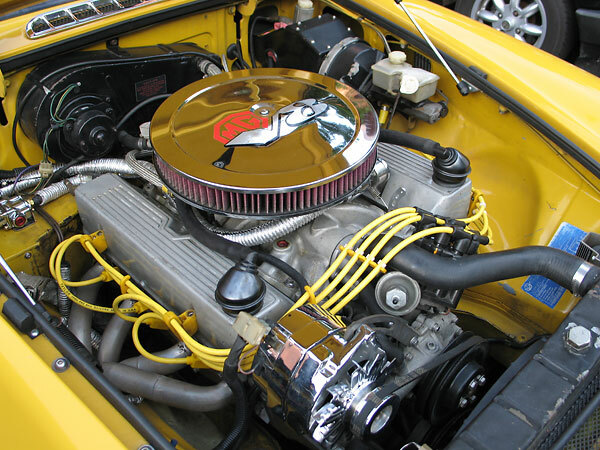 Several major changes have been made to the car since the initial conversion was completed. "Block hugger" four-into-one headers were originally used, but they cracked, and were replaced with "RV8 style" through-the-fenderwell four-into-one headers. 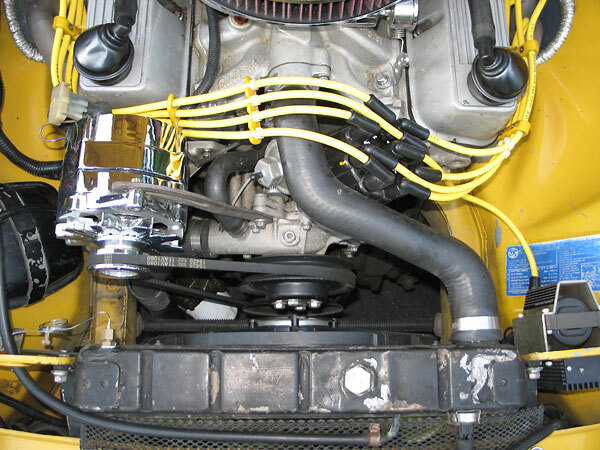 The RV8 style headers provided improved clearance to the steering universal joint, which had previously been a concern. The original Rover tranmission has been replaced with a Ford-spec Tremec (new/aftermarket) transmission, and that's proven a huge improvement. A Ford 8" rear axle was temporarily installed, but the vendor who narrowed it didn't do a good job. The original MGB axle has been reinstalled for now. Eventually, a properly narrowed Ford 8" axle will be reinstalled. 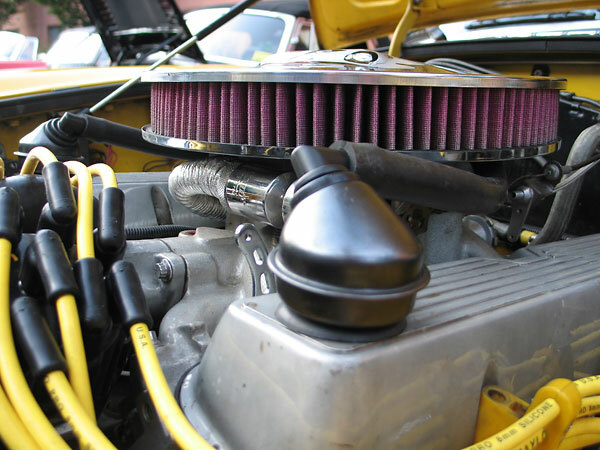 New Accel air filter, as shown at BritishV8 2010. 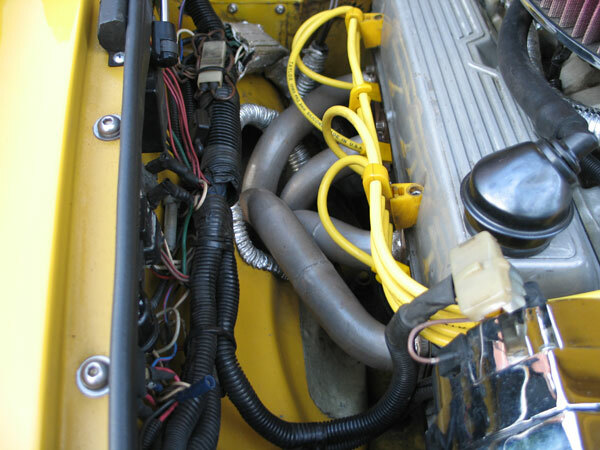 Rover 3.9L aluminum V8 engine. 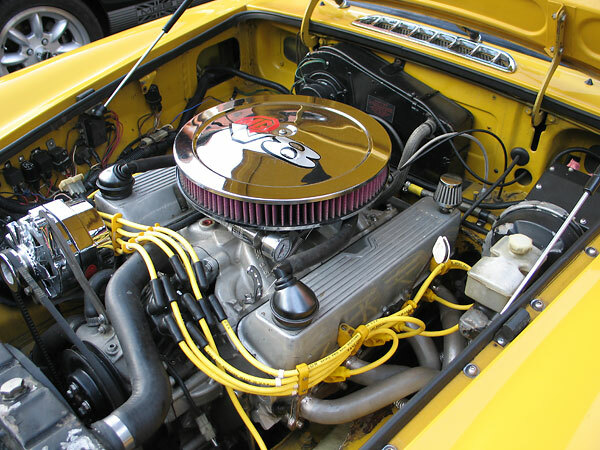 Edelbrock Performer 2198 dual-plane intake manifold. Buick 300 water pump. 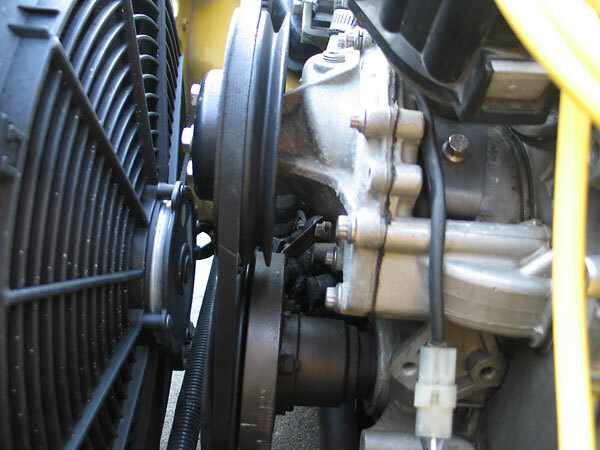 Spal cooling fan. 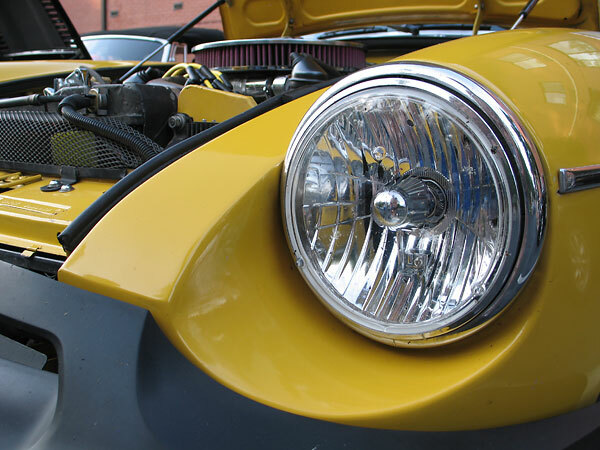 Relays added for cooling fan, headlights, etc. Summit Racing fuel pressure gauge. Crane Cams - Fireball XR700 ignition. Crane Cams - Fireball P591 performance coil. 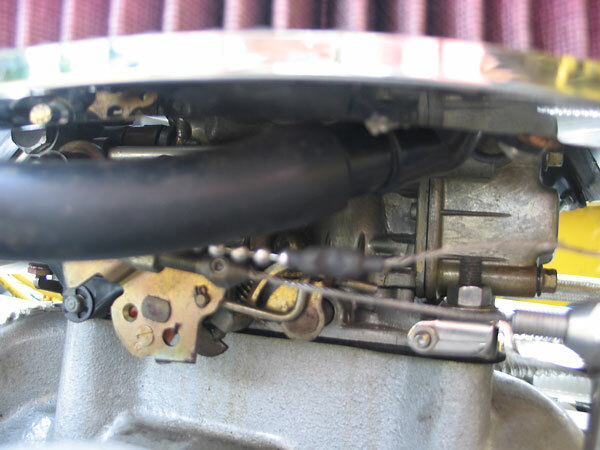 Formerly, the PCV system drew crankcase fumes through the manifold vacuum port on the carburetor. 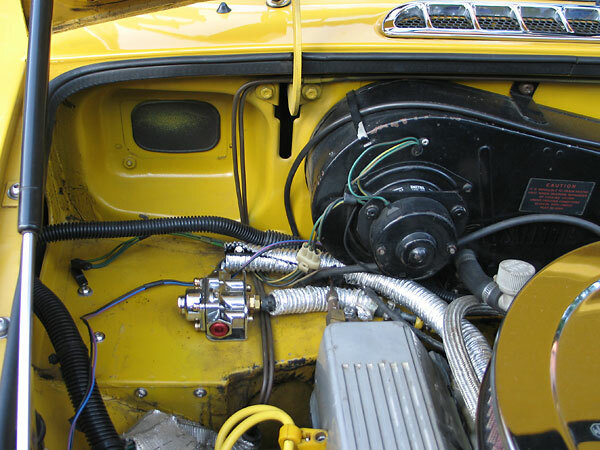 Redirecting the hoses to the air cleaner (and its lower vacuum level) seems to have reduced oil consumption. 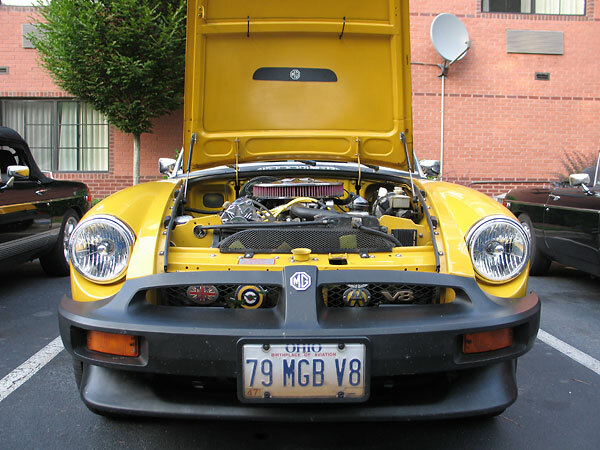 "79 MGB V8" license plate. 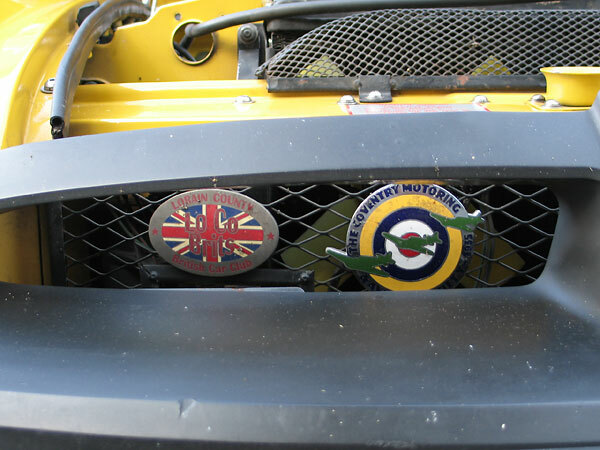 British Car Club grille badges. All photos shown here are from BritishV8 2009, and were taken by Curtis Jacobson for BritishV8 Magazine.